Over the last 5 years Led lighting has come a very long way, manufactures have managed to get the light to disperse over a larger area than standard light bulbs. The running cost of LEDs are over half of standard light bulbs , generally smaller to so this means no more lamps sticking out past the glass in your fittings or below your shades. 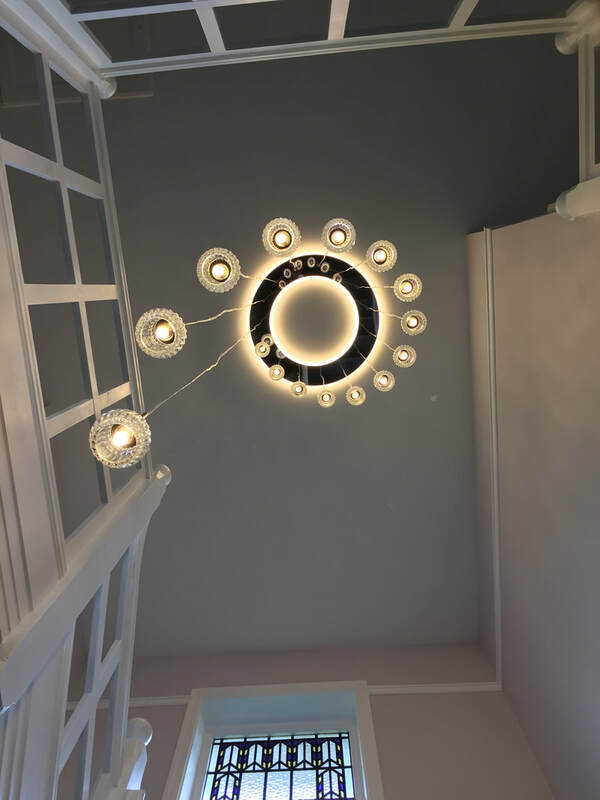 SRB Have been working closely with a local bespoke lighting company to help fit local people with new stylish fitting not found in your normal shop ,retailer and wholesale. This means there is lots of trialing and testing different methods of lighting so it looks smart and is hidden. LED is coming down in price SRB Electrical can get them now at a reasonable price but it can still be a big out lay if you decide on a large quantity ,but just remember after 2 months your electrical bill will be less and the saving starts from day one.